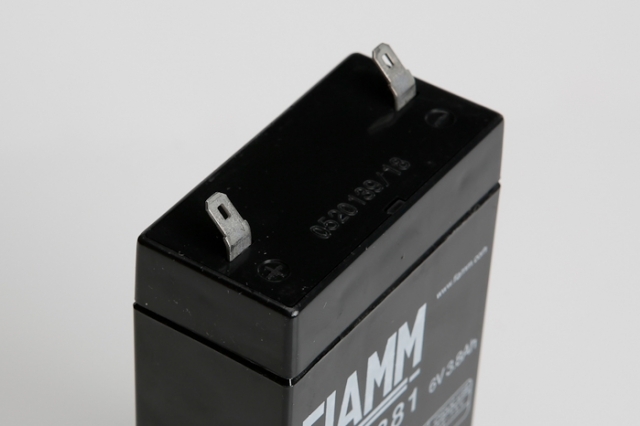 The Fiamm FG10381 is a 6V 3.8Ah battery bloc offering a 5 year design life in float operation and is suitable for a multiple of applications such as alarms, security equipment, DC systems and most commonly, small telecom systems. 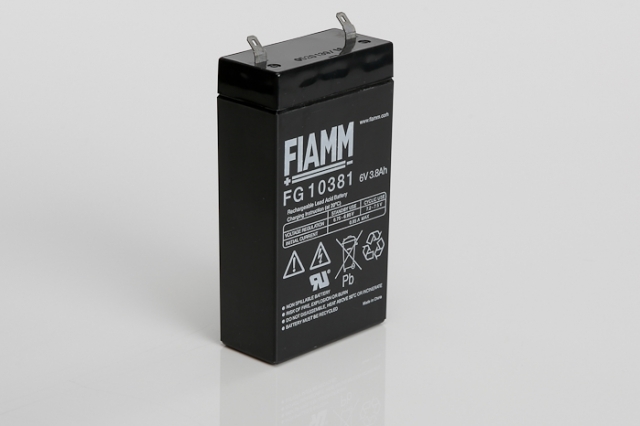 Manufactured with strong ABS plastic, the Fiamm FG10381 is designed to be a non spillable, non maintenance required battery. Blue Box Batteries are an approved Fiamm battery distributor, and are well placed to provide help and advice with your battery requirements, call us today for assistance. Currently out of stock. Please see alternative Yuasa NP2.8-6 detailed below. Do you ship this product to Ireland? In bulk quantities, this product can be shipped to Ireland, please contact us on 02381 789197 or email ‘enquiries@blueboxbatteries.co.uk’ for details. For single and small quantity battery orders we suggest contacting our sales partner Europower, Dublin on 01 8300884 or via their website www.europower.ie.